Although the Samsung Gear S3 smartwatch comes with Samsung Pay support out of the box, it seems the Google Pixel devices are the only major Android handsets not compatible yet. Unlike its predecessors, Samsung Gear S3 arrived on the market with support for its maker's mobile payment system out of the box. 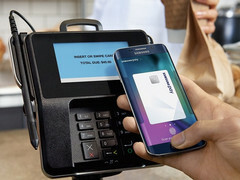 Not long after its release, Samsung issued a server-side update that enabled Samsung Pay for all Gear S3 users, including those who use non-Samsung handsets. Samsung Pay works with any Android device, as long as that device runs Android 4.4 KitKat or later. Unfortunately, while well-known handsets like the LG V20 work without problems with Samsung Pay on Gear S3, Google Pixel users are not lucky. In fact, it seems that the latest Android flagships from Google are the only mainstream devices not supported by the service at this time. Someone recently reported on Twitter the "Installation Failed. Try again" error that occurred while trying to install Samsung Pay on a Google Pixel XL. The answer arrived directly from Samsung Pay and, for now, leaves no room for misunderstandings - "Hi there, #SamsungPay on the Gear S3 is not available with Pixel devices." Fortunately, Samsung also added that support for more devices would be added soon, so remains to see for how long will Pixel users have to wait.